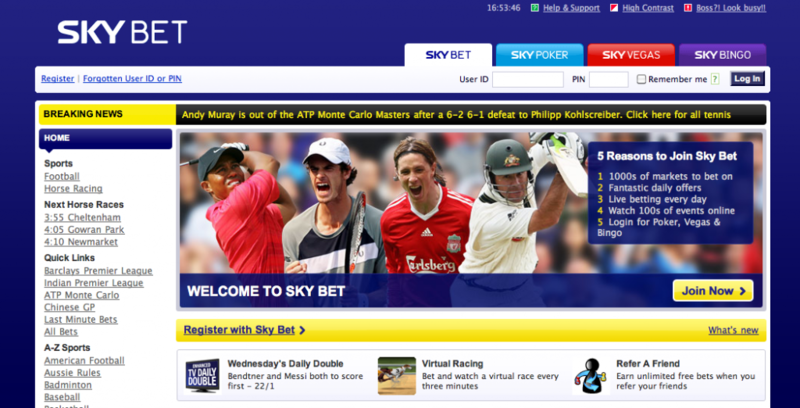 Sky Bet last friday launched an sportsbook for their iPhone users together with mkodo. I think it is great that more and more products and services are optimized for the iPhone and the upcoming iPad. You can read more about that in my previous blog posts. 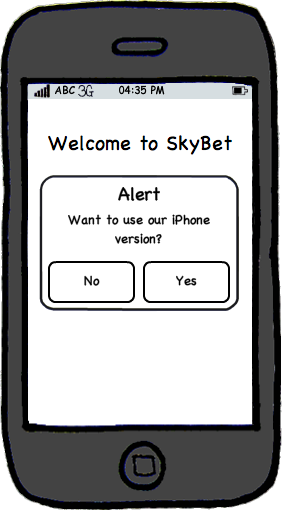 Today when you type in skybet.mobi you come to the iPhone optimized sportsbook, see image 1. Image 1. 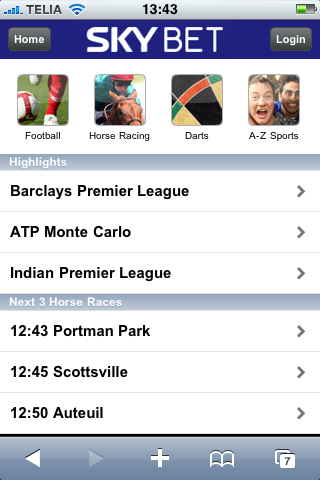 Sky Bet’s iPhone Sportsbook. But the problem with Sky Bet’s solution is that you have to type in the address “skybet.mobi”. 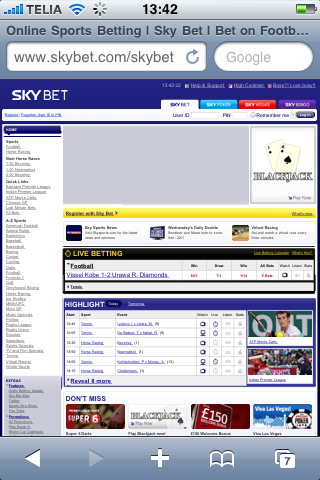 If you happen to type in “skybet.com” then you are come to the usual site, see image 2. Image 2. Sky Bet’s Sportsbook. The problem I see is that many iPhone users do not expect to type in a different address to get the mobile version of the website. 1. Give the user an option to select the version he wants to see when he types in the address “skybet.com”. This could be done as in image 3. Image 3. Giving the user the option to use the iPhone version. ps. you can read all the old Redesigns here ds.